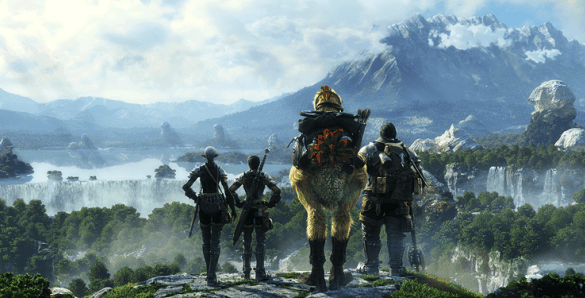 Square Enix today announced the immediate release and availability of Final Fantasy XIV: A Realm Reborn in North America. After a rather sketchy development process North American PC and PlayStation 3 players can finally adventure together in the latest Final Fantasy MMO. ?We are extremely proud of all the work and effort spent creating FINAL FANTASY XIV: A Realm Reborn, and I hope that both new and old players enjoy this FINAL FANTASY experience,? said Naoki Yoshida, producer and director of FINAL FANTASY XIV: A Realm Reborn. and new stories that our fans deserve.? Players can now also download the free companion app available on iOS. The Final Fantasy XIV: Libra Eorzea allows players to review their created characters, access information about their friends and view various in-game databases such as in-game items, achievements and quests.